Do we need body corporate approval to install air-conditioners in our unit? We are fast approaching the middle of summer and Cairns has not forgotten to remind us just how warm (or HOT!) she likes to get. Air-conditioning throughout the home used to be considered a luxury, but now more and more homes in Cairns are becoming fully air-conditioned for comfortable living. 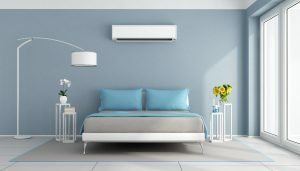 One of the questions we often get asked by purchasers who are looking to buy a unit, is whether or not they need approval from body corporate to have an air-conditioner installed in their unit. When you own a lot in a Community Title Scheme, any non-structural change that is done externally to your lot needs approval from the body corporate. Lots in Community Title Schemes are commonly known as units, townhouses, villas or apartments but the easiest way to establish if you are part of a Community Title Scheme is if there is a body corporate in place. Although the installation of an air-conditioner is for use internally to the lot, the outside of the unit will house the condenser which is external – meaning it will require approval from the body corporate committee. To get approval from the committee (Owners), get in touch with your body corporate manager and they will have the appropriate paper work for you to fill out.